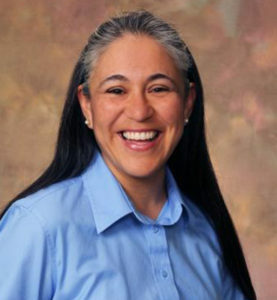 Dr. Herrera-Mata graduated from the University of California, San Francisco School of Medicine and completed her residency at the University of California San Francisco Fresno-Family Medicine Residency Program. Dr. Fuentes graduated from University of Santo Tomas, Philippines and completed his residency at Sierra Vista Family Medicine Residency Program. Dr. Kaileh is a Rural Community Family Medicine Faculty. He graduated from Granada University Faculty of Medicine Granada, Spain and completed his residency at Western Reserve Care System Family Practice Center, Youngstown, OH. Dr. Nichols graduated with a Ph.D. in Psychology from the California School of Professional Psychology, Fresno, CA. He completed his Postdoctoral Fellowship at Kings View Psychiatric Hospital. Dr. Tevendale graduated from the University of Iowa College of Medicine and completed his residency at Kern Medical Center/UC Irvine in Family Medicine. Dr. Bangar is a Rural Community Family Medicine Faculty. He graduated from Dayanand Medical College, India and completed his residency at Loma Linda University-Hanford Family Medicine Residency, Hanford, CA. Dr. Khushoo is the Epidemiologist/ Research Coordinator for the Valley Health Team Family Medicine Residency Program. Dr. Khushoo graduated with a B.S. in Life Sciences from Jammu University, India, M.S. in Biological Sciences from Pune University, India, and a Ph.D. in Biotechnology from Jawaharlal Nehru, University, India. He also completed his Post-Doctoral Research Fellows at Oregon Health & Science University and Oklahoma State University. The VHTFMRP Faculty team are eager to help you. Begin the application process today!